All Posts Tagged With: "La Prairie"
Luxury Skincare. 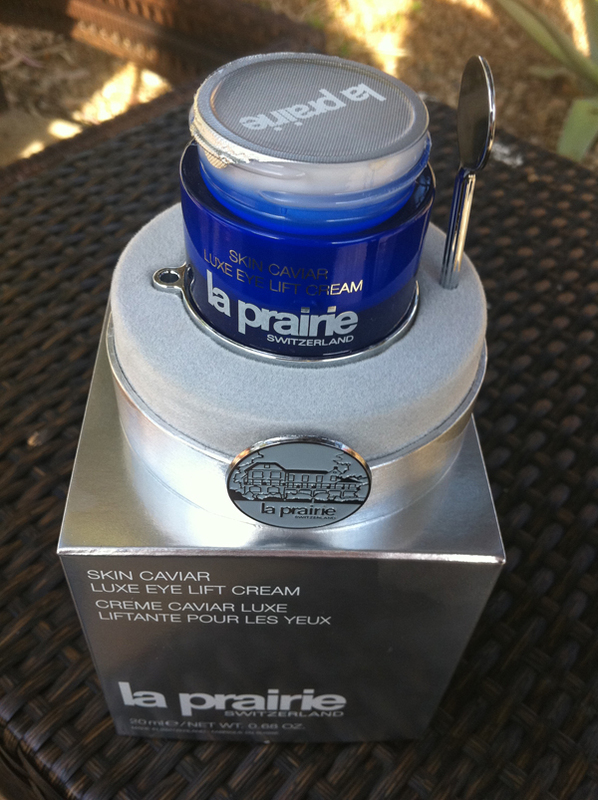 I feel totally luxurious today with la prairie skin caviar luxe eye lift cream. I’m channeling some kinda diva, Victoria Beckham perhaps? I mean look at it. Marta Walsh LOVES. Introducing Luxury-to-Go, a new way to try before you buy Essential Complements Samples by La Prairie. Starting week of March 15th, 2010, at La Prairie counters nationwide. La Prairie, the renowned Swiss beauty company best known for their cult-favorite Caviar and Platinum-infused anti-aging creams, will be doling out complimentary “essential” trial samples from a particular collection to clients who participate in an at-counter skincare consultation. The trial samples of assorted eye, serum and face products are signature La Prairie chic and luxury, meaning packaged in deluxe tubes and jars – no messy packets. 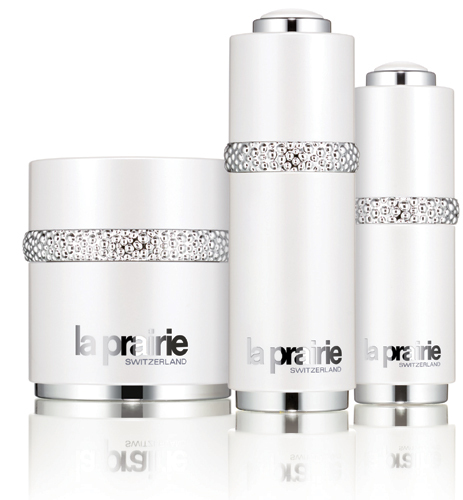 NEW Fall Fragrance Launch: Life Threads by La Prairie. 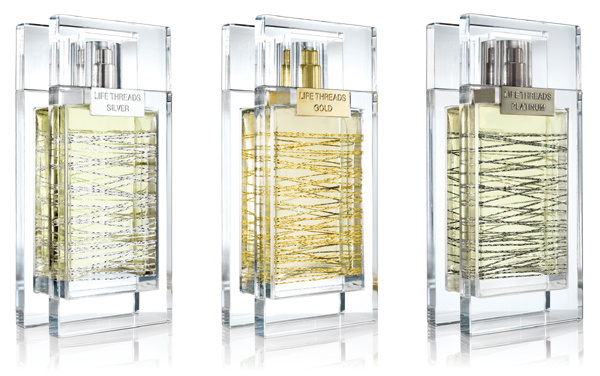 La Prairie debuts its next chapter in the fragrance story, a provocative portfolio of scents: Life Threads. Deemed Silver, Gold, Platinum ($125 / 1.7 FL OZ EDP), Life Threads come together to represent the various roles, stories and threads of our life. From scent to sound…Life Threads comes alive with a partnership with acclaimed NYC singer/songwriter Lucy Kaplansky, who penned a “Life Threads” song inspired by the fragrances and the emotions they evoke. You can experience true retail-tainment with Lucy’s in-store performances at select La Prairie doors nationwide, as she performs “Life Threads” and other hits. 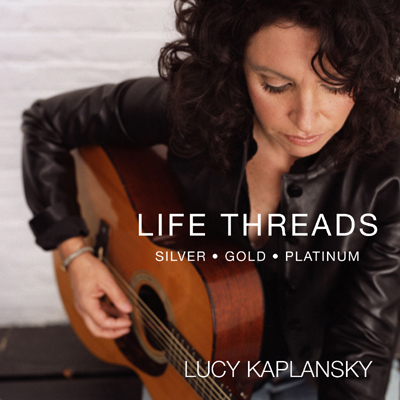 With the purchase of a Life Threads fragrance, you will get a signed Lucy Kaplansky CD. See www.lifethreads.com for details on Lucy and retail-tainment events. Twilight Star Ashley Greene looked absolutely beautiful at the premiere of Julie & Julia! 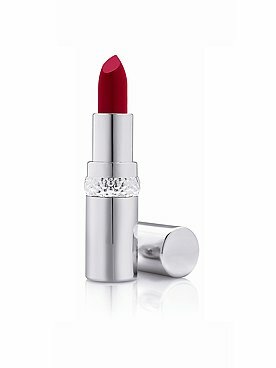 I particularly love her red lips, good choice for a glamorous Hollywood night. 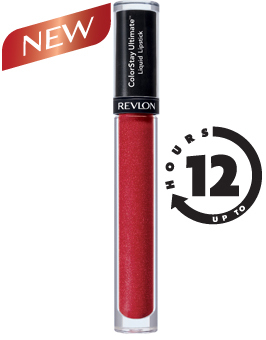 Revlon ColorStay Ultimate Liquid Lipstick in Top Tomato (left). L’Oreal Infallible Plumping Lipgloss in Plumped Red (right). la prairie Cellular Luxe Lip Colour in Cardinal (left). Motives by Loren Ridinger Rich Formula Lipstick in Ruby (right). La Prairie Colour Ambassador Raychel Wade Kicks Off “Stylized Colour” Event in NYC – 7/15 and 7/16/09. Renowned NYC makeup artist Raychel Wade (www.cheektochic.com ) is the new Colour Ambassador for La Prairie and making appearances at select doors nationwide to spill her secrets on colour and give women her insider picks on La Prairie must haves for your makeup bag. Raychel’s expertise is in sizing up women’s “makeup personalities” based on their lifestyles, then helping them edit their makeup bags to streamline keepers and fill in the holes of anything that’s missing. From CEOs to recent college grads, brides to baby boomers, Raychel’s worked her makeup magic on them all! La Prairie brings us Pure Gold Cellular Radiance Concentrate to help our skin stay young and vital. Formulated with a multi-faceted microemulsion La Prairie Gold Cellular Radiance concentrate will restore your skin’s radiance. It will also lift, firm, resurfaces, brighten, and de-ages your skin. Cost: $525.